The moment I saw this recipe I was intrigued. Chicken, cinnamon, lemon and milk.. what the. I have heard of chicken in milk before and I think someone did something with it on Masterchef (Australia). It is an interesting idea as I have never before cooked chicken in any kind of liquid. The results are simply divine and this really is such a special meal. The chicken falls off the bone and the interaction of the milk and lemon means it curdles and turns into a cheese like substance. Unusual but so full of flavour you will soon forget you initial hesitance. 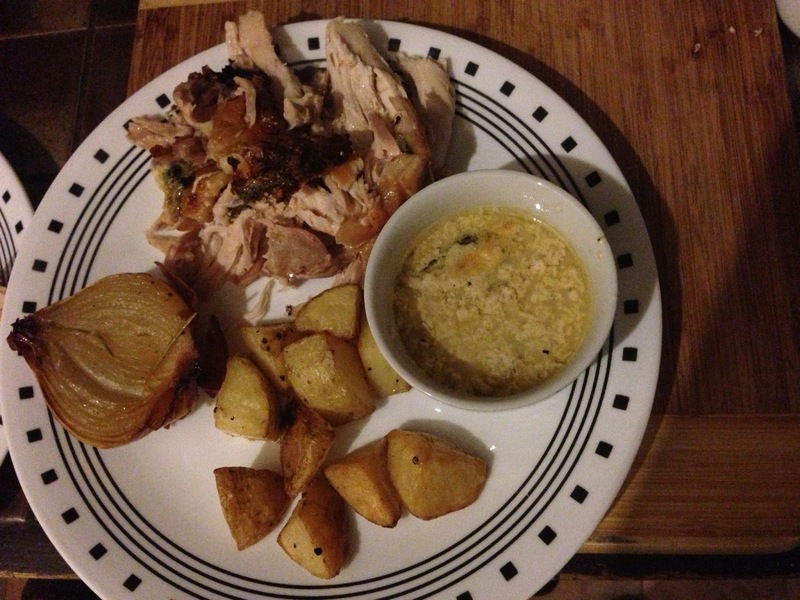 Like most roasts it was also very simple to make so could be done any time of the week. Personally I will be saving it for a special occasion. 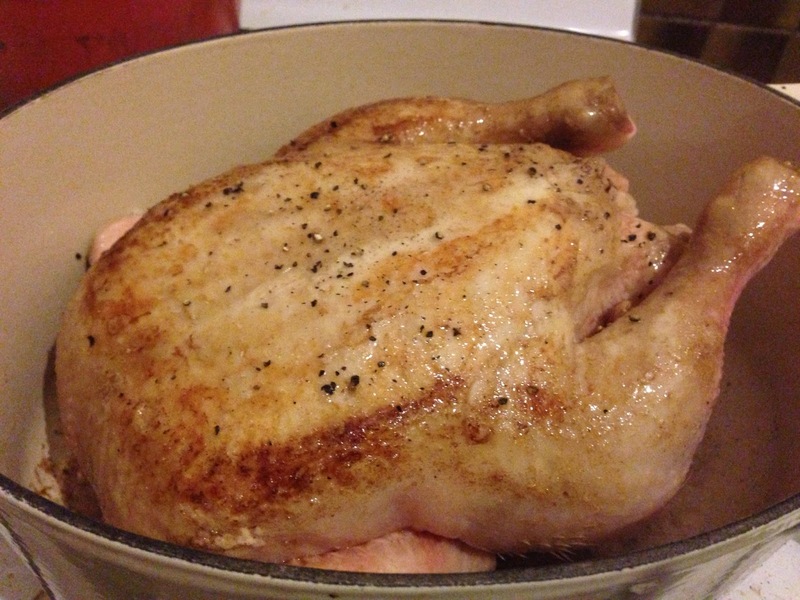 Preheat the oven to 190°C/375°F/gas 5, and find a snug-fitting pot for the chicken. Season it generously all over, and fry it in a little olive oil, turning the chicken to get an even colour all over, until golden. Remove from the heat, put the chicken on a plate, and throw away the oil left in the pot. This will leave you with tasty sticky goodness at the bottom of the pan which will give you a lovely caramel flavour later on. 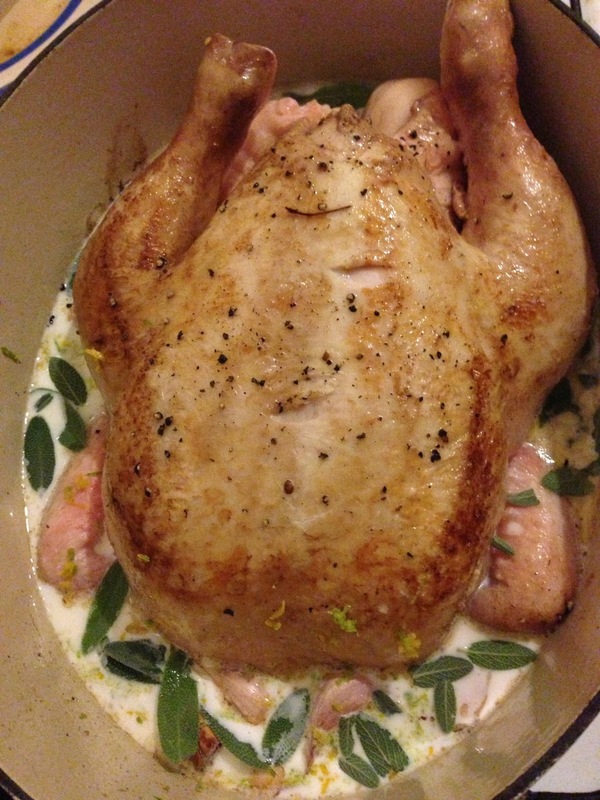 Put your chicken back in the pot with the rest of the ingredients, and cook in the preheated oven for 1½ hours. Baste with the cooking juice when you remember. The lemon zest will sort of split the milk, making a sauce which is absolutely fantastic. Changes Made: My le creuset was one size too big so I just added a little extra milk. Results: Out of this world. The lemony, cinnamonny curds were really something and the chicken was one of my best (and I have cooked many chickens). Next Time: Nothing and I cannot wait till next time!